When southbound travelers head to Patagonia, a frequent motive is the opportunity to see something “off the beaten path.” One of their bucket-list sights might well be Chile’s glacier-studded Parque Nacional Laguna San Rafael, southwest of the regional capital of Coyhaique, which remains one of the region’s least visited parks – technically, at least. Laguna San Rafael is one of Chile’s largest national parks, where the ice from the Campo de Hielo Norte, the Northern Patagonian Icefield, still reaches the sea. 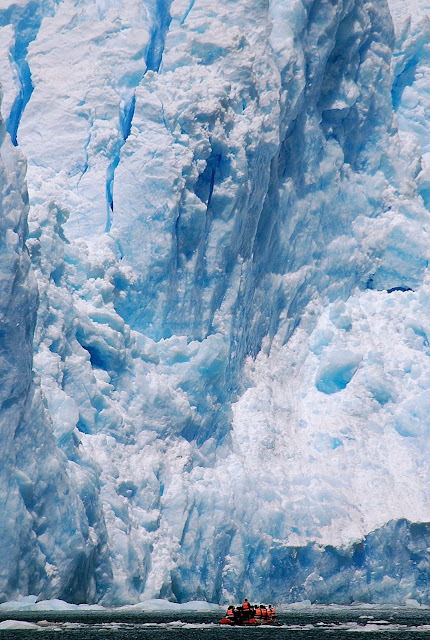 I have viewed the jagged seracs of the park’s namesake glacier (pictured above) - the world’s lowest-latitude tidewater glacier - on three separate trips, but I have never actually entered the park. 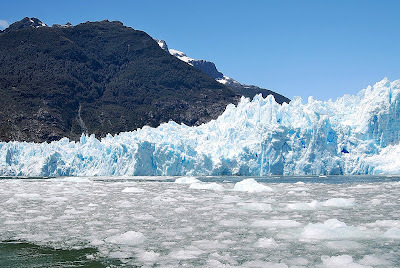 In fact, even though thousands of visitors view the glacier up close and personal every year, only a relative handful ever enter the park – as recently as 2009, only 158 persons (82 Chileans and 76 foreigners) actually set foot in it. 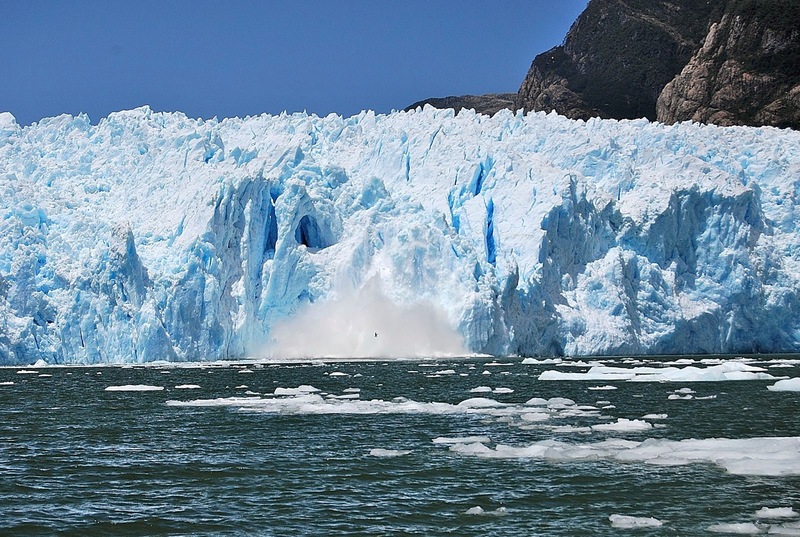 That’s because the jurisdiction of the Corporación Nacional Forestal (Conaf), which manages the park, ends at water’s edge – where the Chilean navy exercises authority. 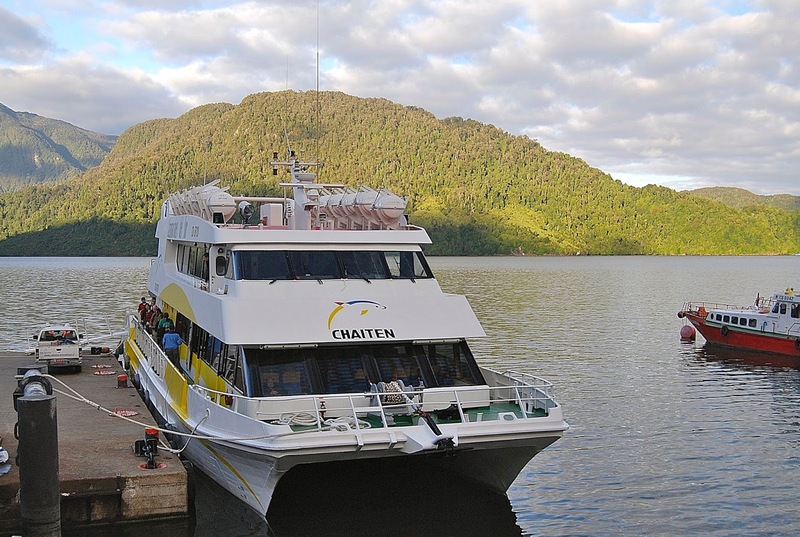 Thus, almost everybody arrives on catamarans and cruise ships that spend a few hours before heading back to Puerto Chacabuco (pictured below), the port from which they sailed. On my most recent visit, a few years ago, I took the catamaran Chaitén (pictured above), which sailed from Chacabuco at 8 a.m., arriving at the glacier around 1 p.m. after a couple brief stops to view sea lion colonies en route. Over the next couple hours, the crew shuttled the passengers on rigid inflatables along the glacier’s face - not too close, to avoid the crash of melting towers of ice and the waves they create - on a magnificent day that yielded the best views I’ve ever had of the advancing river of ice and its surrounding peaks. In the course of my Chilean travels, I have also taken the Navimag ferry from Puerto Montt to Puerto Natales at least half a dozen times, and it still amazes me that, in a world of six billion people, such an enormous area could be almost unpopulated - human settlements, or any sign of population, are virtually absent in an area that resembles the Alaska Panhandle. Verdant forests rise from the sea to mountains bearing the last of the winter snow, among other peaks of perpetual snow and ice, but they remain largely nameless, to me at least. In reality, except for the handful who earn their livelihood at sea, this is still the nearly trackless wilderness it was when John Byron - grandfather of the famous poet Lord Byron - was shipwrecked here in the 18th century, and when the Beagle, with Darwin and FitzRoy aboard, anchored at Laguna San Rafael in 1835. 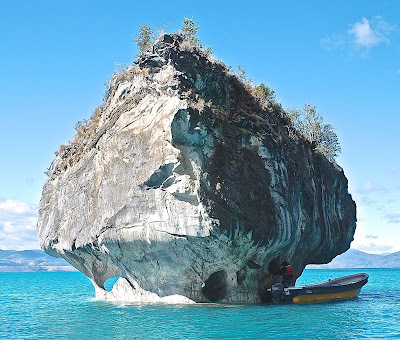 In one sense, the forested hillsides and islands of archipelagic Chile differ little from the barren wastes of the Atacama desert - there is a verdant monotony to them. Yet in the Atacama the evidence of human habitation and activity is present everywhere, while in the lush south it's simply overgrown, if indeed it ever existed. There is no simple way to orient yourself, other than by the cardinal directions - in general, you’re going north or south. While seeing Laguna San Rafael other than by sea has been difficult, that’s starting to change. This past year, the total number of visitors rose to 4,728 – still only an average of 13 per day, though that’s misleading because almost everyone goes between mid-October and April. 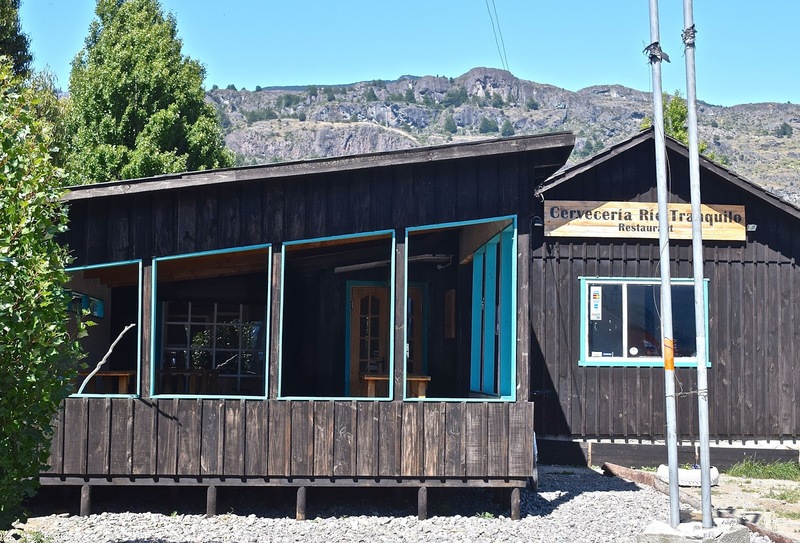 I had hoped to go last January with the operator Río Exploradores, which now takes hikers by road and sea to the park for day trips, and for one- and two-night packages with dome tent camping from the town of Puerto Río Tranquilo, 228 km south of Coyhaique by a mostly paved highway. 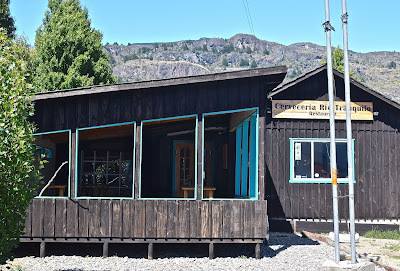 It’s not cheap, but prices compare favorably to the catamaran and cruise ship excursions; unfortunately, there was no space available on the one day I had to spend in Tranquilo (which, however, has its own brewpub (pictured above) and several other excursions, like the nearby Capilla de Mármol on Lago General Carrera, pictured below). I’ll give it another shot this upcoming season, though.